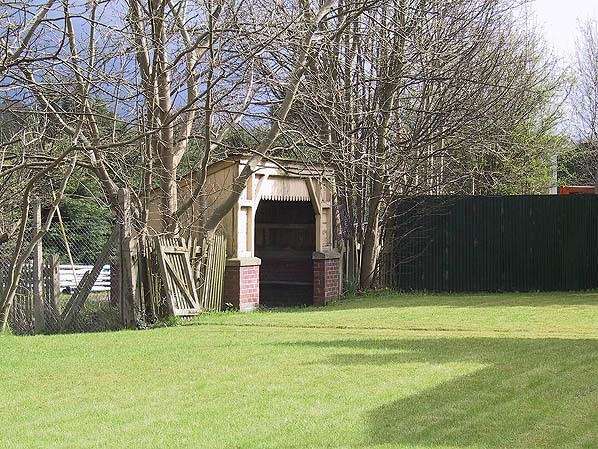 Present state: Station buildings are still extant although the track bed between the platforms has been infilled and the edge stones used in garden walls. On the opposite side of the road part of the crossing gates can still be found in the undergrowth. Notes: Rhydymyn was opened by the Mold & Denbigh Junction Railway on 12.9.1869 as part of its line linking Mold to Denbigh. From the outset services were operated by the LNWR who by this time owned the Chester to Mold line which had an end on connection to the Mold & Denbigh Junction line at Mold. The line retained its independence until the Railways Act of 1921 when it became part of the LMS. 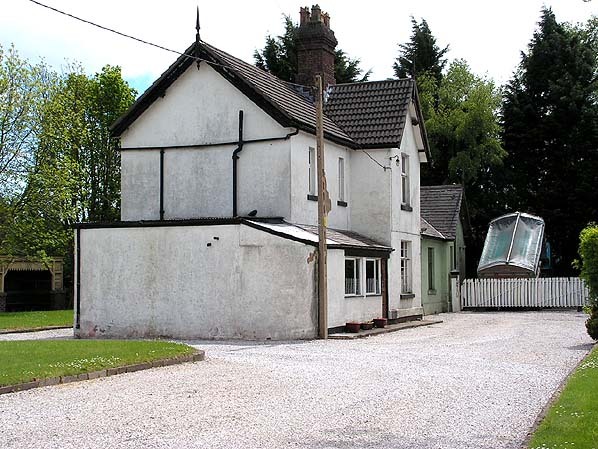 During WW2 a siding served the Valley Works a mustard gas production and shell filling factory at Rhydymwyn. 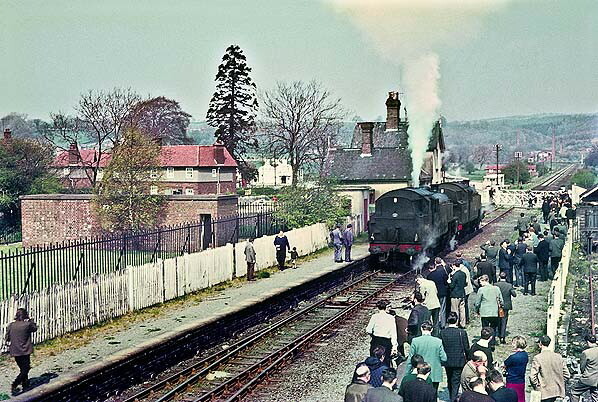 by the early 1960's the only service to operate was the all stations Chester General to Ruthin service which usually consisted of only two coaches. 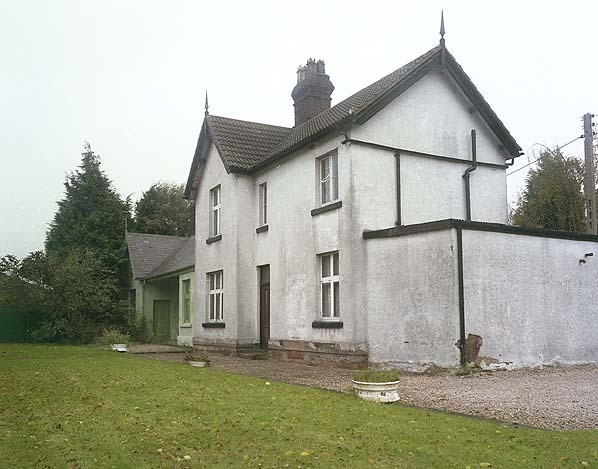 Rhydymwyn Station closed on 28.4.1962 and it is still standing today as a private residence which can clearly be seen from the A541. Rhydymwyn Station looking north on April 1967. The occasion was the visit of the RCTS Wrexham, Mold & Connah's Quay Railway Rail Tour. Although closed as through route in 1962 stone trains still ran to Rhydymwyn at this time and there were sidings to the south that served the Valley Works. 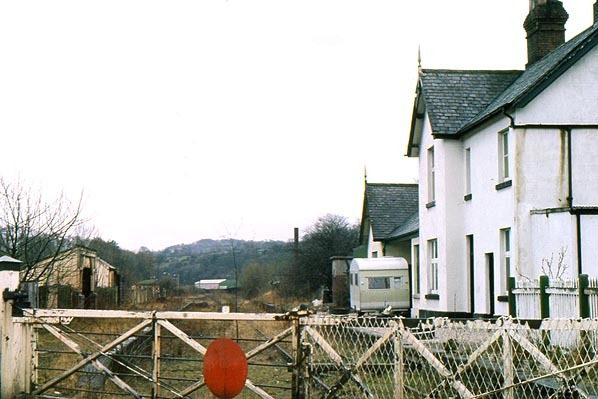 Rhydymwyn Station looking south in March 1978. Track was still in situ at this time but there was no traffic on the line beyond a factory that was located to the west of Mold.